Ten years, four albums and over twenty million sold copies – Haddaway is a truly international sensation. With ‘What Is Love’ he stormed the charts all over the globe and achieved a sales quota of over eight million units. The track appertained up to 52 weeks at worldwide Top 10 Charts and even today it is part of the Top 100 Airplay charts of US. After that bang, further hits like ‘Life’, ‘Rock My Heart’, ‘Fly Away’ and ‘I Miss You’ followed and entered the Top 20 Charts. With Haddaway’s second album The Drive, released in 1995, he did not miss the opportunity to continue his success without a break. In 1998, Let’s Do Love was launched at the worldwide market – another album with outstanding musical aesthetics and performances of impulsive rhythmic, unique melodies and especially Haddaway’s incomparable voice. In 1999 all his famous hits had been rearranged and remixed for his All the Best – His Greatest Hits album. In 2001 Haddaway showed that he has developed and enhanced his musical career with his fourth album Love Makes. He made clear his distance from the habitual dance floor-sound by mediating new impulses as an undoubted musical global player in his songs. His irresistible hook-lines, moods and sounds – with only a small electronic touch – are adaptable to nearly all stages, discos and clubs. 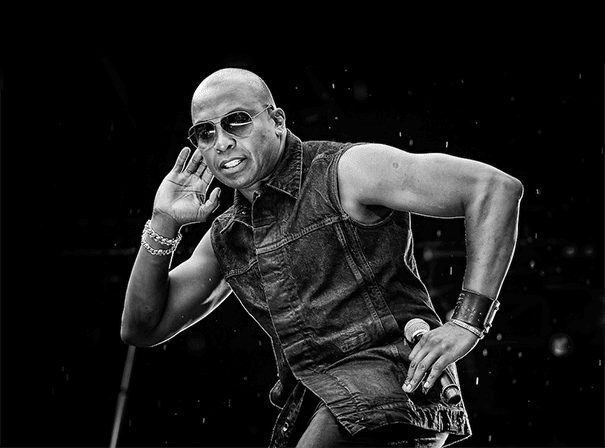 During his impressive career, Haddaway has won a number of awards including the World Music Award, an Echo-Award, a Goldene Europa award and many more.